Most businesses organize some sort of employee appreciation event every year. Why do we do it? Because other companies do it? Because social media tells us we should? Or maybe there’s a science behind it? There actually is some science behind it. Here are ways you can boost employee happiness and productivity while going easy on your budget. Organize an intramural-style sport activity for your company. Popular sports include basketball, softball, volleyball and kickball. ZogSports coordinates leagues in major metro areas, and many smaller areas have local leagues. Encourage members of your team to start a running group and run a race. Bonus points if you’re benefitting a charity or cause! Look into getting a reduced group rate for fitness classes. There are plenty of cycling, strength training, yoga, barre and other studio fitness classes to choose from. Coordinate goal-setting meetings with specific rewards. If you plan out small milestones and celebrate each one, you’re encouraging continuous productivity and rewarding motivated behavior each time. Rewards can be as big or small as you want. Play music at some points during the day, as long as it’s not distracting. Hearing music that you like is proven to boost dopamine levels. And it wouldn’t hurt if your team also got up and moved to the beat! Encourage learning new skills or being creative. Set up a class at a local craft shop, share a video on the basics of drawing, or give your employees access to adult coloring books. Soaking up some sun. Plan your next team event around being outside —organize a team lunch at a local restaurant with a great patio, or simply relocate your weekly brownbag to a picnic table near the office. Think positively and spread positivity. One of the easiest ways to boost serotonin levels is to recall positive experiences from the past. And try creating positive experiences for your employees going forward with a recognition program. Try a trust- and team-building experience, like an escape room or obstacle course. Give (and receive) small gifts! It’s been proven that giving a gift can often feel just as good as receiving one. Take this CEO for instance, who wrote each of his employees a birthday card (and received cards in return for his!). 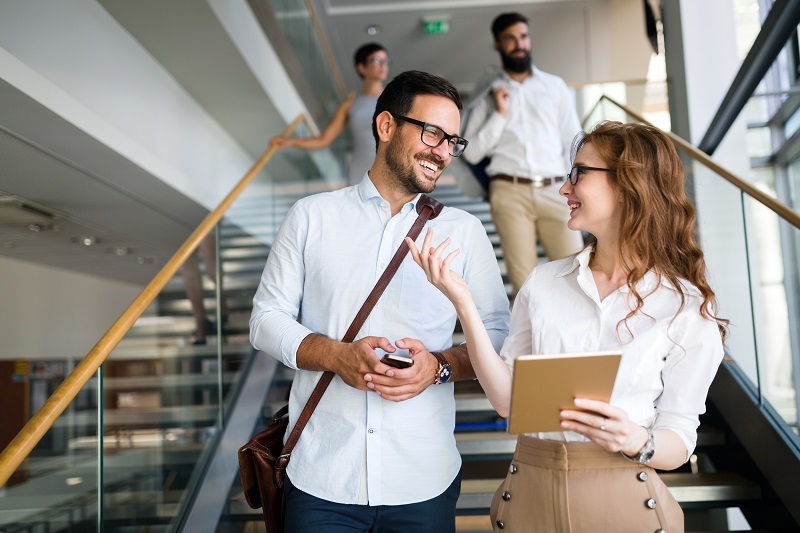 Take a challenge and try integrating each of these happy chemicals into your employee engagement strategy throughout the year. Make sure you never miss out on content like this. Subscribe to Insider Update, our producer newsletter. Are you a benefits decision maker, benefits administrator or HR professional? Subscribe to Word of Mouth, our newsletter for businesses.